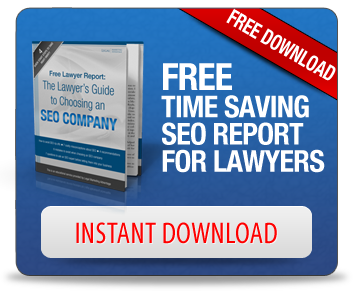 Creating a multitude of articles across a seemingly endless number of outlets can seem like a daunting prospect for law firms entering the world of Search Engine Optimization and online marketing. But with Google placing an emphasis on those websites that have demonstrated they consistently offer high-quality content, firms are left with no choice but to put together such content if they want to succeed in the online space. A new article provides some advice to those embarking on a content marketing strategy for the first time. Content marketing starts with understanding one’s purview and how to offer unique takes on news about that sector. For law firms, you’ll get to a point where you’ve exhausted all the stories you can tell about your specific cases. And truthfully, clients don’t want to only hear about your own personal stories. That kind of content is definitely relevant, but it can’t be all you do. Instead, create some Google alerts and stay on the pulse of news affecting your practice area. For personal injury lawyers, that means offering your take on product recalls, injury incidents, and anything else that might bring a client to your doorstep. Environmental lawyers will pay attention to news about the EPA, green technology, and so on and so forth. This information can be shared across multiple platforms, from social media to infographics to your own blog. And all along the way, you should research and think about what keywords you can place naturally into that content to improve your SEO profile.